If you are looking for information on the Schlotzkys franchise business opportunity, Schlotzkys Deli franchises, Schlotzkeys franchising or Schlotzkies franchise information, then you have come to the right place. In 1971, a small shop on South Congress Avenue in Austin, Texas was home to a single, one-of-a-kind product. The Original® sandwich has always been, well, original! Let's be real: You can't find one delectable sandwich with a unique combination of 13 flavors and ingredients, featuring premium meats, cheeses, and marinated olives just anywhere. 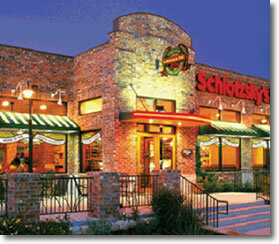 What really sets this and all Schlotzsky's® sandwiches apart, though, is our bread. No frozen buns here! Our special Fresh-from-Scratch® bread recipes are made on location and baked to perfection. It's that kind of freshness that has created a passionate customer following. Since 1971, customers' tastes have evolved, and so has the menu. 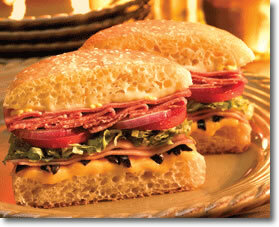 While, the Original® sandwich is still the favorite at Schlotzsky's®. Today you can enjoy a variety of delicious hot, toasted sandwiches, specialty pizzas on Fresh-from-Scratch® crusts, fresh salads, gourmet soups, tasty wraps and delectable desserts. Schlotzsky's® is a proud family member of FOCUS Brands, the owner, operator and franchisor of over 2,200 ice cream stores, bakeries, restaurants and cafes in the United States, the District of Columbia, Puerto Rico, and 32 foreign countries under the brands names Carvel ®, Cinnabon®, Schlotzsky's®, Moe's Southwest Grill ® and the franchisor of Seattle's Best Coffee® on military bases and in certain International markets. Based in Atlanta, the primary objective of FOCUS Brands is to "FOCUS on making people happy!" Schlotzsky's is currently undergoing an aggressive, responsible expansion plan- so now's the time to step right up and take the next step to secure your desired territory. Just fill out the below express request and once you submit your responses we'll be in touch with you to discuss ownership opportunities in your area and answer any questions you have. Thank you for your interest and we look forward to getting to know you better and possibly welcoming you into the Schlotzsky's family of franchisees!